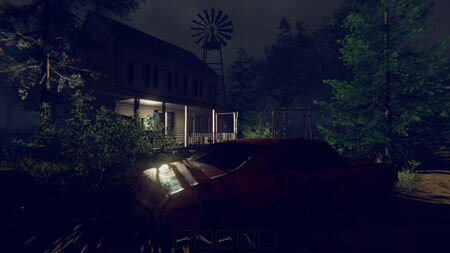 At Home is an indie horror survival game developed by Kiddy. Strangers come to your house and kidnap you and then you find yourself in a forest in a locked hut. Your task now is to escape. To trick maniacs and escape from captivity, you will have to come up with an escape plan using the items near you, surveying the surroundings and so on. The main thing is to act quietly and unnoticed in order to constantly remain hidden, because the maniacs have installed surveillance cameras in the house and in the surrounding area. If you get stuck in the game, check out the video walkthrough and gameplay for the game. This entry was posted in PC Games, Walkthrough and tagged At Home Cheats, At Home Gameplay, At Home Guide, At Home Strategy, At Home Walkthrough by Marvin. Bookmark the permalink.